Now that winter is upon us, it’s worth taking the time to examine what steps can be taken to ensure that our beloved pets remain safe and healthy – even when the snow starts to fall. And this is especially so for certain sorts of pets – including guinea pigs. Winter is a particularly tough time for domestic guinea pigs, who are particularly vulnerable to cold and damp. Let’s examine some of the ways in which we might offer protection for these pets – and touch upon some of the problems we might encounter at this time of year. 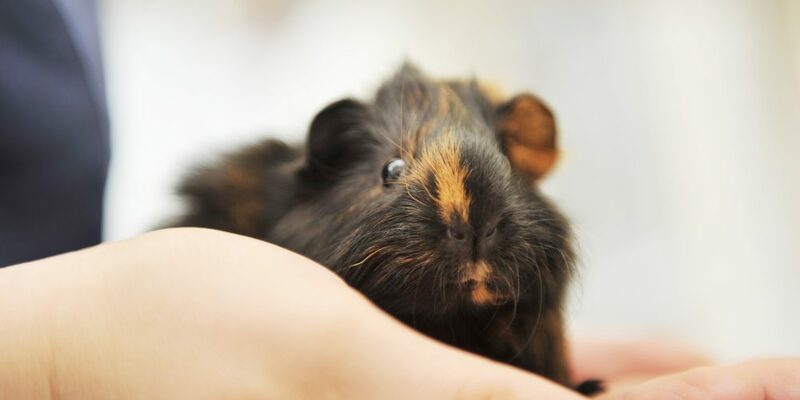 Why are Guinea pigs vulnerable during winter? The guinea pig is a very counterintuitive animal. It doesn’t, for one thing, come from guinea (nor, for another, is it a pig). It actually originates in South America, in the Andean region that’s now the southern part of Colombia, Peru and Bolivia. In this tropical part of the world, temperatures are extremely stable – in marked contrast to the ever-fluctuating climate of Europe. It should come as no surprise, then, that guinea pigs are not adapted to cope with the sort of condition’s they’re subjected to during a British winter. They’re especially vulnerable to damp; while they can cope with extreme cold by burrowing into soft and warm hay, and by nuzzling close to one another, the wet weather we endure in the UK causes them particular trouble. If your guinea pig is inhaling a lot of moisture, then their respiratory system will provide airborne bacteria with the conditions they need to thrive. Since the animal’s immune system hasn’t adapted to cope with such things, they’re at heightened risk of suffering from an infection. This is a condition brought about by a bacterial infection. It occurs when the air sacs in the lungs become inflamed and fluid builds up. An affected guinea pig will have difficulty breathing, their heart rate may increase, and they may cough up mucus or blood. If left untreated, pneumonia can lead to more serious problems. In the same way that moisture in the respiratory system can provide harmful microbes with a chance to thrive, moisture on the skin can offer the same opportunity to skin-growing fungus. When the skin becomes infected, it loses its ability to effectively exclude other pathogens – and to keep the animal’s body temperature stable. How do I protect my guinea pig? In order to combat these problems, guinea pigs should ideally be kept indoors during winter. You might bring them inside the house, or into a well-insulated shed, garage or other outdoor building. Where bringing a guinea pig indoors is impossible, it’s essential that steps are taken to ensure that their accommodation is sturdy and watertight. Ensure that they’ve got enough good quality food and hay to keep warm. Provide extra bedding on a regular basis to ensure your guinea pig can burrow to keep warm. It’s also important to check the water bottle to be sure that it hasn’t frozen solid. Even if the water appears liquid, it might be that the ball bearing which regulates the flow of water in the spout has frozen into position – in which case the animal will be unable to retrieve water. Try and position your hutch in a place where it’s shielded from wind and rain. You can buy special blankets called ‘hutch huggers’ from pet shops – they’ll help to keep the hutch warm during winter, but an old blanket will do the same job. If using a blanket, do ensure sufficient air circulation. Winter doesn’t just mean cold and humidity – in some cases, the season can produce storms so severe that hutches are actually tossed over. Suffice to say, this is dreadful news for any guinea pig that might be trapped inside the hutch at the time. In most cases, hutches are made from cheaper softwood, and will not tolerate being flung around. This is especially so if the hutch has become damp. If the weather forecast should indicate that a severe gale is likely, then be sure to take steps to protect your hutch – move it to somewhere sheltered – and where it’s not going to be picked up by a gust of wind. You might even consider securing it to the floor or weighing it down with some strategically-placed bricks around the legs.